June 26, 2018: They’re her top tomatoes! 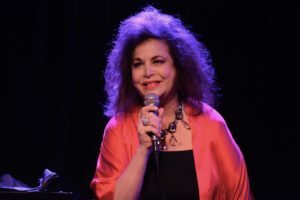 Prolific producer and host Randie Levine-Miller presented a special edition of her “Showstopper Divas” series at The Triad, 158 West 72nd Street, on Thursday June 21 at 7pm. 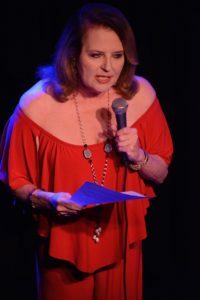 This year’s “Tomatoes Got Talent” winner, Sheree Sano, co-headlined the musical funfest with past winners and runner-ups from the previous five years of “Tomatoes Got Talent,” New York’s only singers contest celebrating the talents of women-over-40 who are not working pros and have day jobs. 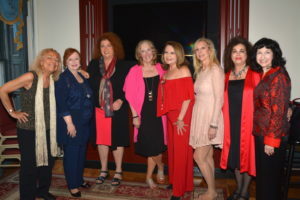 Levine-Miller co-produces the annual TGT event with Cheryl Benton, the founder and publisher of www.Thethreetomatoes.com. 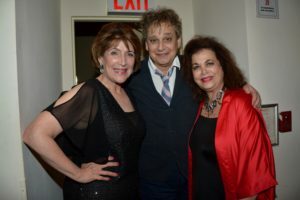 The concert also featured a guest appearance by cabaret favorite Sidney Myer. Jimmy Horan is the music director. 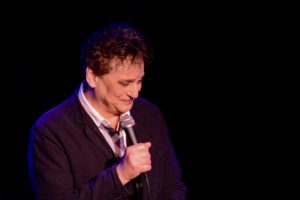 A portion of the evening’s proceeds will benefit The National Multiple Sclerosis Society. 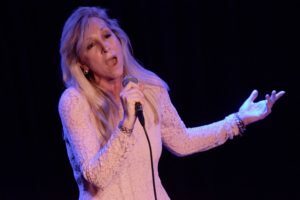 Among the bushel of talent of a certain age taking root on stage the past winners before Sano: The 2017 winner Teresa Fischer, an executive assistant for an executive search firm by day; and th 2014 winner Karen Nason, a businesswoman in Hoboken, New Jersey, who recently ran for mayor of Hoboken. Also on the bill were this year’s runner-up Maggie Determann, who is the membership director for a non-profit. 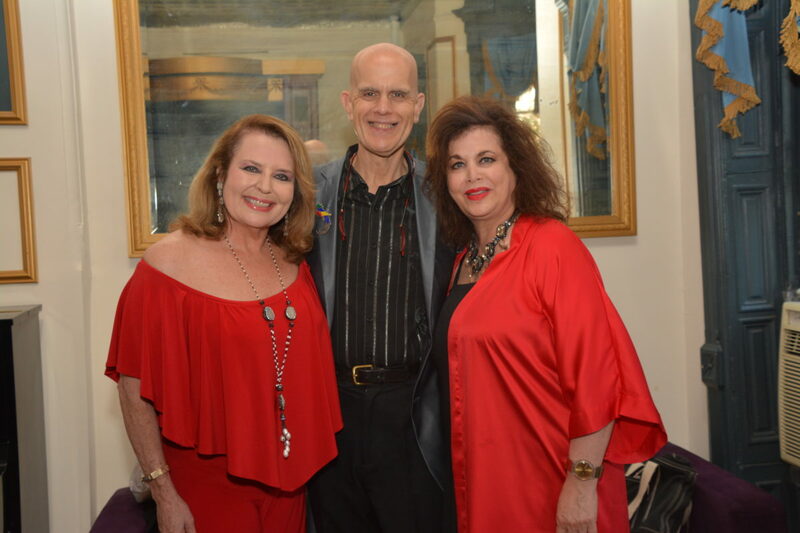 2014 is also represented by these runner-ups: Robin Gerson Wong, who sang on Broadway in the ’70s, and “retired” to motherhood (twins) and now is proprietor of the Seven Hills Inn in The Berkshires; Alice Levine, MD, who is one of New York’s top endocrinologists, and a professor at Mt. 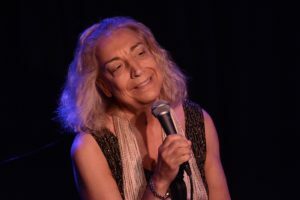 Sinai School of Medicine, and Merrill Stone, a gerontologist, who has also been a businesswoman and theater producer. 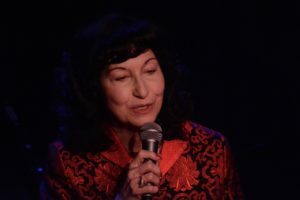 Sheree Sano, the 2018 winner, is a computer technician and graphic artist who tickles the ivories at Don’t Tell Mama. 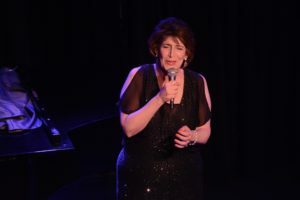 The voluble Levine-Miller has produced and hosted over 80 star-studded musical entertainment events. 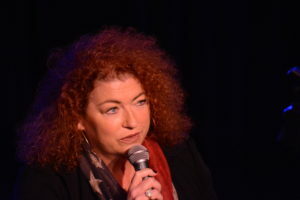 Her “Showstopper Divas and Divos” have been presented at the Metropolitan Room, at Feinstein’s, and, for many years, at the Friars Club. 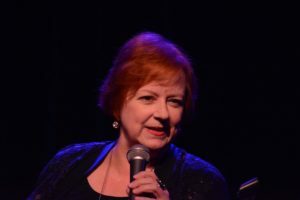 Her tribute events have toasted Charles Strouse, Marvin Hamlisch, Ervin Drake, Tovah Feldshuh, Jim Dale, Len Cariou, Tony Roberts & Lee Roy Reams. 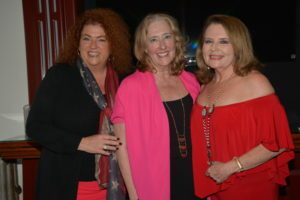 This year’s judges were Gretchen Cryer, Jana Robbins and Laila Robins.